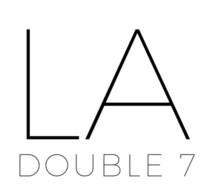 Crossbody Bags – LA Double 7, Inc. In a canteen-style look, this round-shaped purse is fashion-forward, and will be your go-to purse accessory! Features an adjustable buckle strap and silver zipper closure. Wear as a cross-body bag, or as an over-the-shoulder purse. Because of the black tone, this bag can be worn with many looks throughout the year. Select this must-have purse to add to your accessory collection!